One of the common tasks for a SQL developer is to come up with a stored procedure that can return a page of results from the result set. 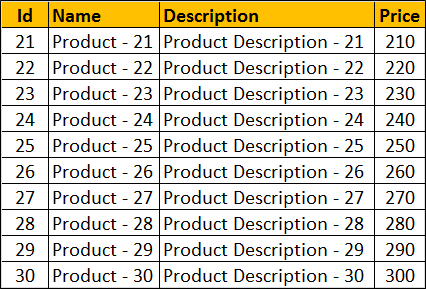 With SQL Server 2012 OFFSET FETCH Clause it is very easy to implement paging. Let's understand this with an example. 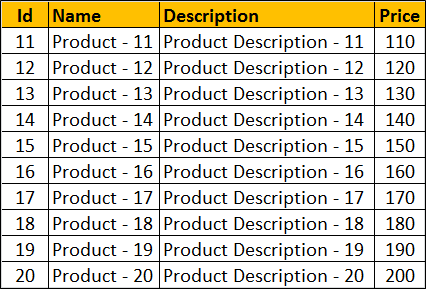 We will use the following tblProducts table for the examples in this video. The table has got 100 rows. In the image I have shown just 10 rows. From the front-end application, we would typically send the PAGE NUMBER and the PAGE SIZE to get a page of rows. 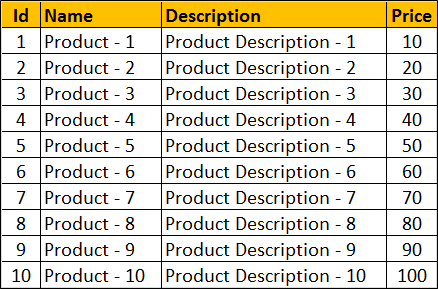 The following stored procedure accepts PAGE NUMBER and the PAGE SIZE as parameters and returns the correct set of rows.